Rich passed away peacefully in Neepawa Area Hospital. He is lovingly remembered by his wife Ruth, son Allen, daughter Deb Everitt (Wayne), grandchildren Danielle, Kailyn, and Jayden Hanke, Keri and Andrew Everitt, mother-inlaw Dorothy Babcock, sisters Lillian (“Red”) Schellenberg, Lucille Johnson (Bud), Beatrice Johnston, brother-in-law Mike Whelan, and his Aunt Frieda Oswald and many cousins, nieces, nephews and friends. Richard was pre-deceased by his parents Elizabeth and Rudolf Hanke, his father-in-law Arthur Babcock, siblings (partners): George (Jean), Ella Wutzke (Louis), Lydia, Agnes Bilow (Alvey), Clara Fischer (George), Ernest (Beatrice), Albert (Erika), Frank, Helen Thomson (Clayton), (Jim Low), Ruth Whelan, (Allan Johnston), and (Gary McKinnon). After completing school in Plumas, MB, Rich attended Winnipeg Normal School and later graduated with his Bachelor of Education from the University of Manitoba. He taught one year in Starbuck, MB, and then went on to teach in Eden, Hamiota and Neepawa, a career spanning 36 years with more than half teaching at the Junior High level. Richard was an avid ball player, curler and sports fan. He also enjoyed golfing, fishing and singing with the Hims or at family sing-a-longs, where he often sang humourous versions of familiar songs that the kids always seemed to remember! Family was most important to him with many good times on camping trips, at the cabin at Shoal Lake, in later years in Lake Havasu City, AZ, and on cruises and road trips with friends. He was a devoted father who spent countless hours following his children and grandchildren to their various activities and sporting events throughout the province. Rich was a member of the Neepawa Elks Lodge and a past member of the Neepawa Kinsmen. He was a hard worker who was good at what he did and always seemed to make an impact on those around him. He was quick to laugh and always appreciated a good joke. Rich will be dearly missed by family and friends. 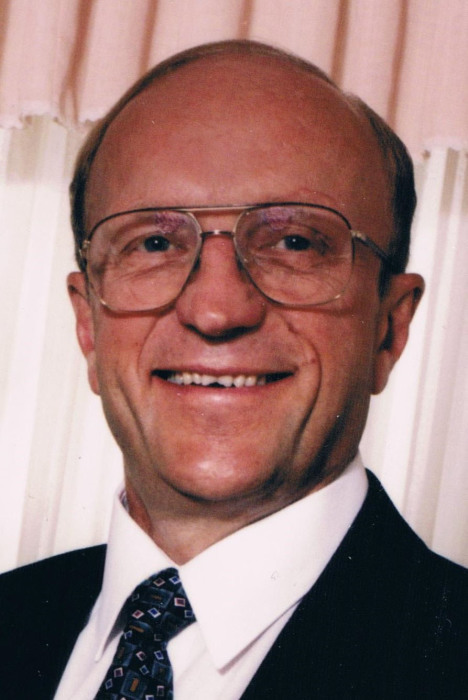 His funeral service was held on February 7, 2019, in the Neepawa United Church, with Rita Friesen officiating and niece Wendy Denbow giving the eulogy. For those who wish, in lieu of flowers, donations may be made to Neepawa Area Hospital Auxiliary or Beautiful Plains Community Foundation. White’s Funeral Home was in care of arrangements, with internment at the Neepawa Cemetery.